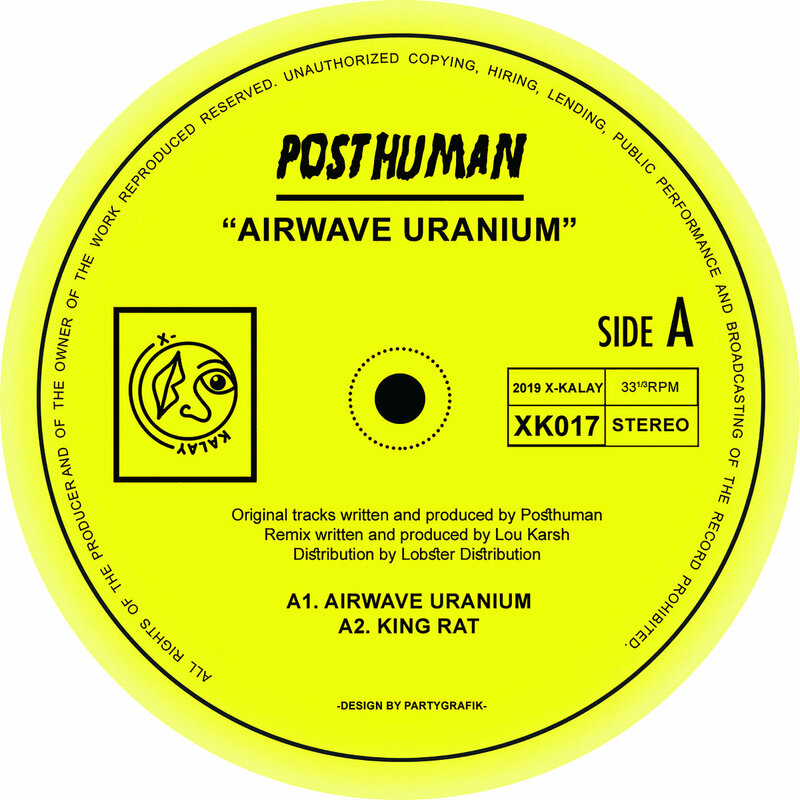 Includes digital pre-order of Airwave Uranium. You get 1 track now (streaming via the free Bandcamp app and also available as a high-quality download in MP3, FLAC and more), plus the complete album the moment it’s released. 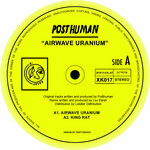 Pre-order of Airwave Uranium. You get 1 track now (streaming via the free Bandcamp app and also available as a high-quality download in MP3, FLAC and more), plus the complete album the moment it’s released. Posthuman are London based cousins Josh Doherty and Rich Bevan. 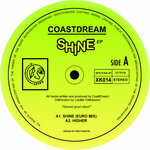 The pair have been pivotal in the recent resurgence of UK acid house via a steady stream of their own output, notorious I Love Acid club nights and their own imprint; Balkan Vinyl. Not satisfied with just one successful record label - the I Love Acid brand has recently announced a double LP from legendary UK electronica artist Luke Vibert. The past 12 months have seen Posthuman on a hot streak with a standout release on Glasgow based Craigie Knowes coming shortly after their critically acclaimed album, Mutant City Acid. Both records found their way into DJ bags far and wide. It’s X-Kalay next and the duo have served up a pair of typically stripped back acid work outs. Title track “Airwave Uranium” is an exercise in crescendo; building slowly with supple acid lines and menacing pads into a full blown peak time monster. “King Rat” is a raucous 303 jam; elastic basslines, warped synths and punchy drums ensuring this cut is guaranteed to receive heavy rotation. 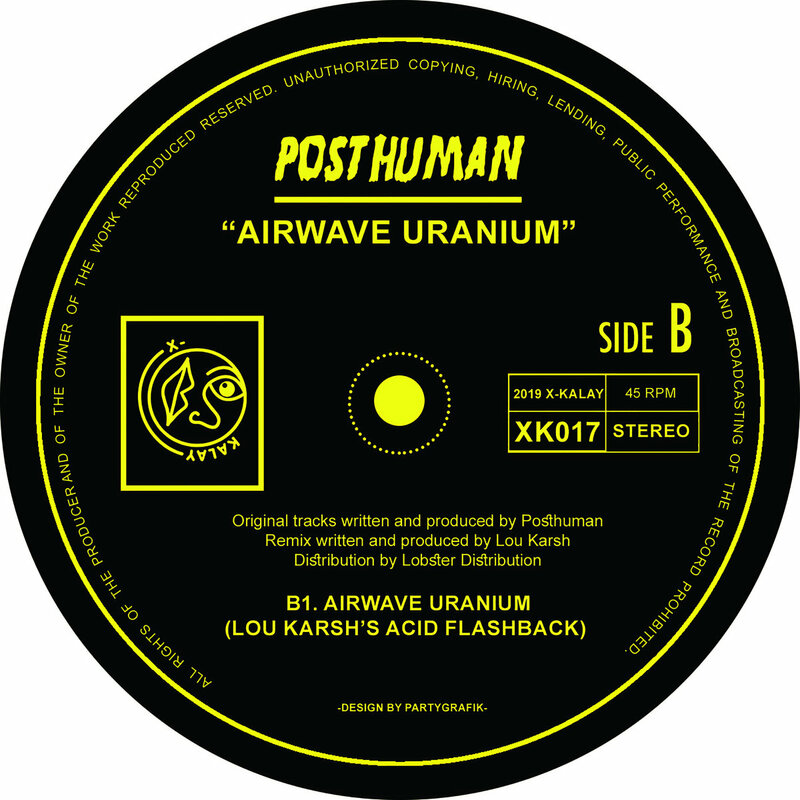 On the flip X-Kalay artist and up and coming acid wunderkid Lou Karsh reworks Airwave Uranium into a real 303 masterclass. Tip!